One of the biggest international sporting events in the world is underway! 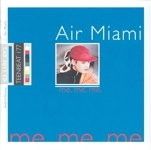 In honor of that fact, I am listening to Air Miami’s 1995 party-starter “World Cup Fever” once a day to start the proceedings off right. The album which the song is from, “Me Me Me”, is great 90s indie pop fun. Check it out and get into the spirit of the game!